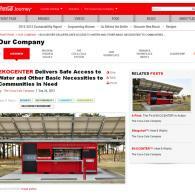 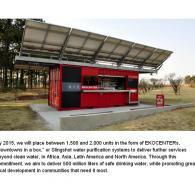 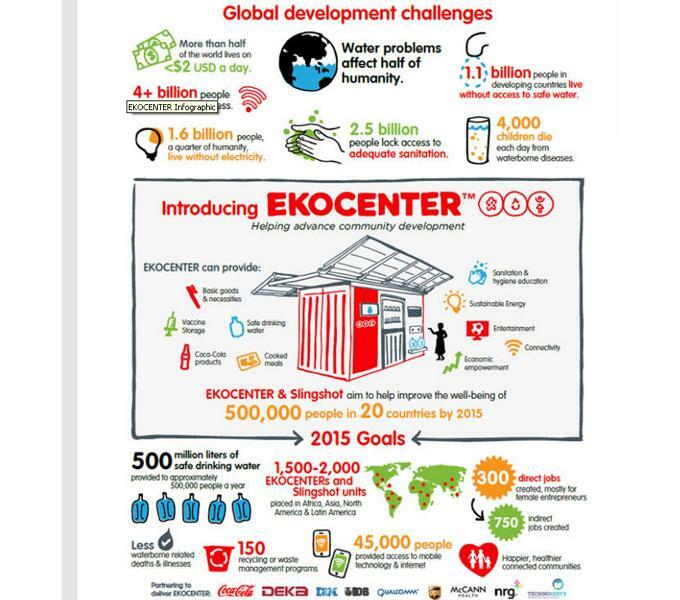 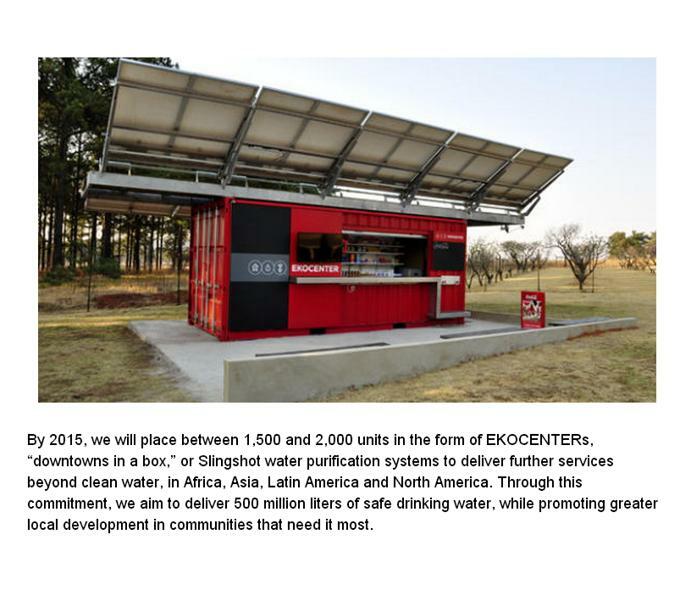 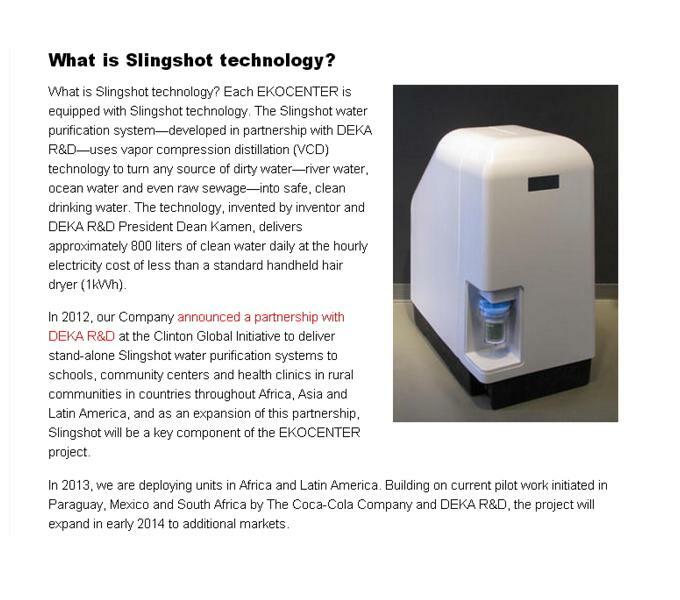 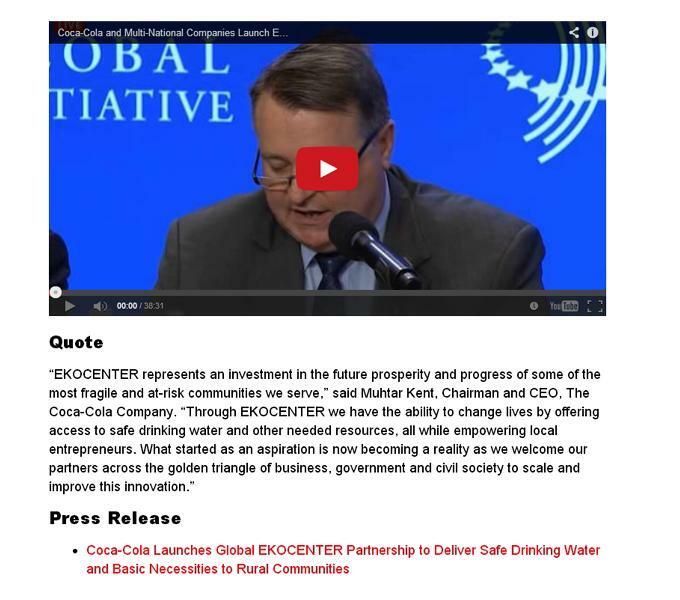 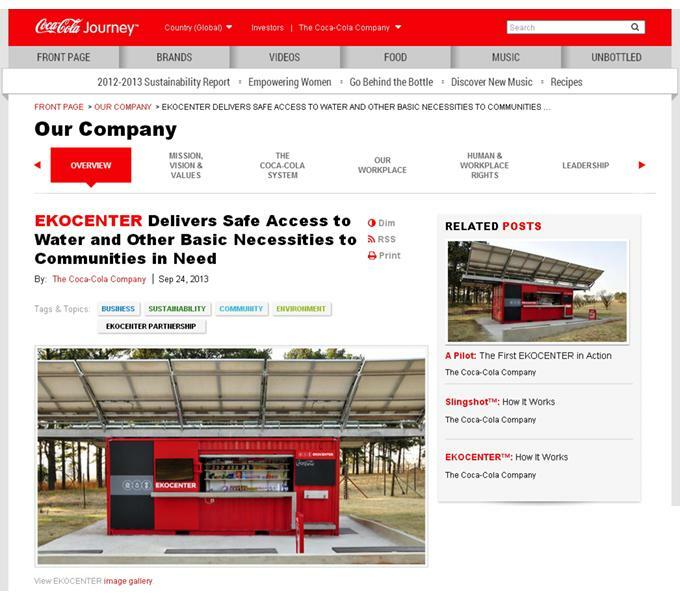 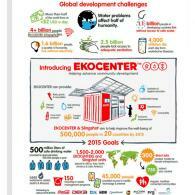 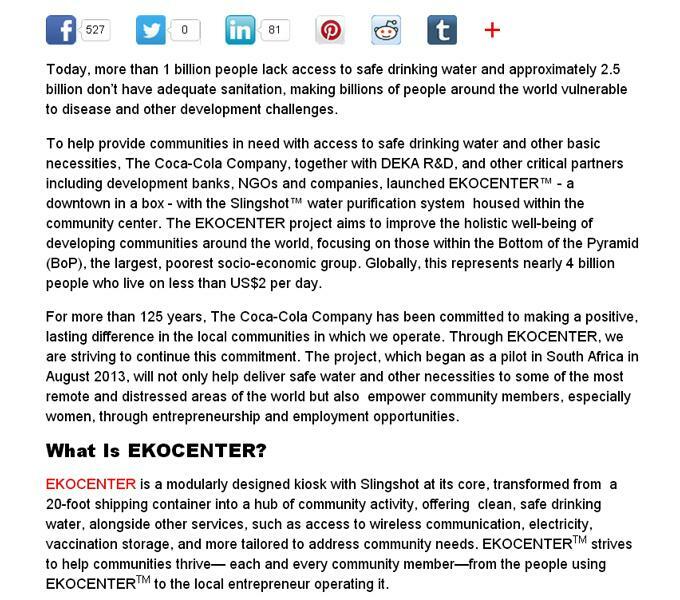 SPACE for Coca-Cola’s EKOCENTER officially launched! 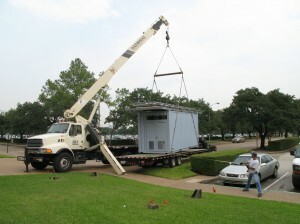 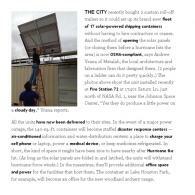 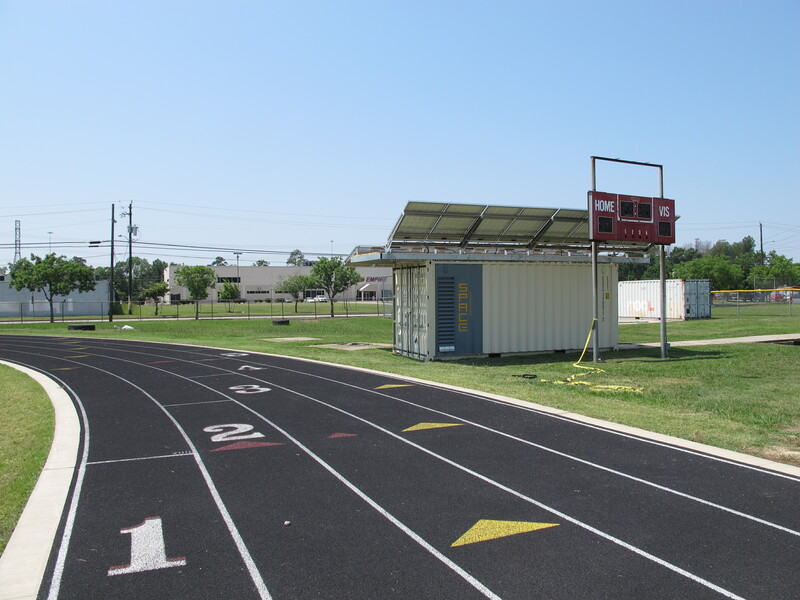 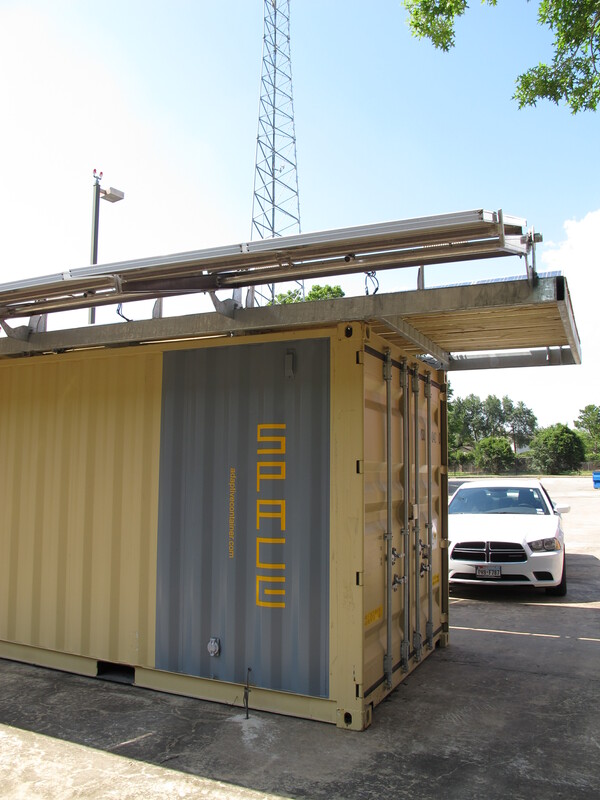 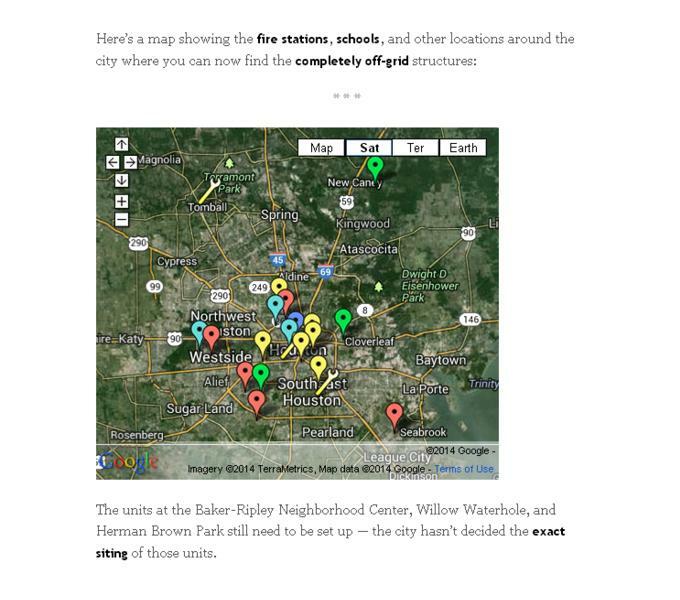 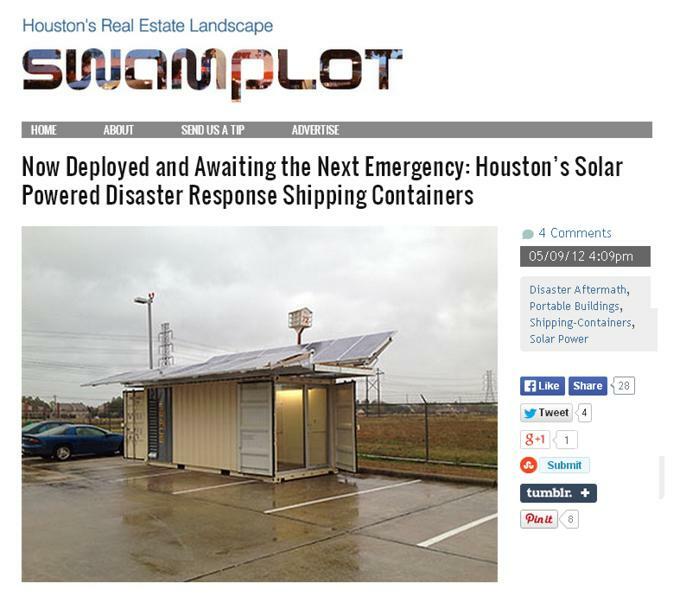 Swamplot reports on the City of Houston's deployment of 17 OSHA-compliant SPACE units, placed in crucial locations such as fire stations and schools to serve as disaster response centers. 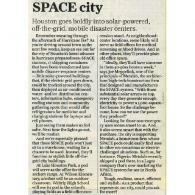 Houston is increasing its hurricane readiness with the deployment of 17 SPACE units. 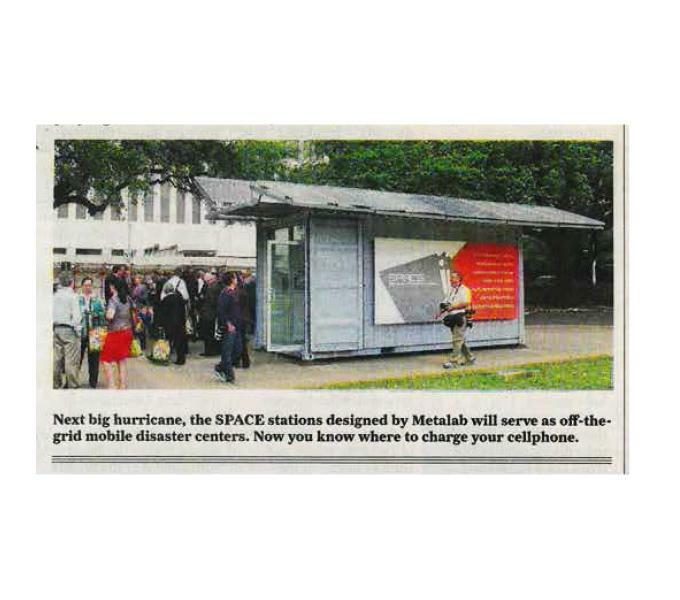 Metalab has equipped these shelters with a variety of essential amenities: ice- and water-distribution capacity, regriferators for medicine, and charging stations for laptops and cell phones, to name a few. 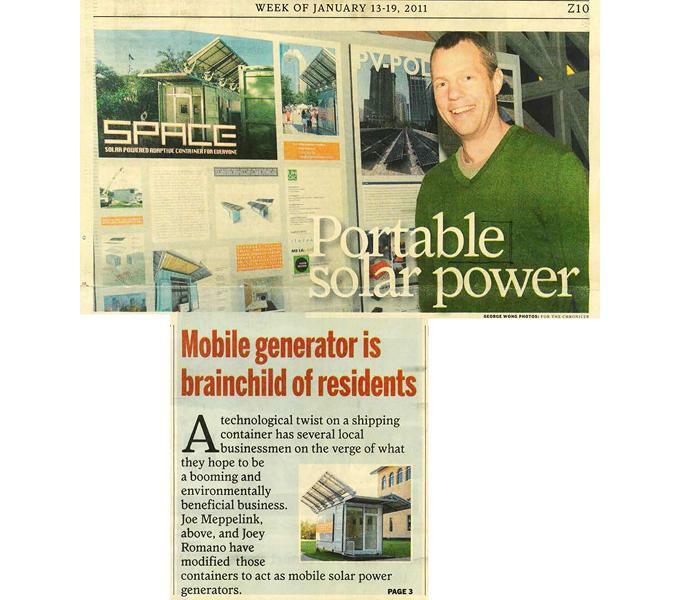 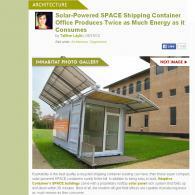 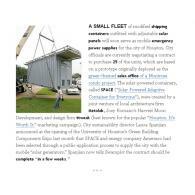 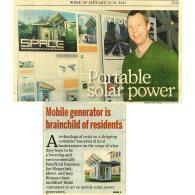 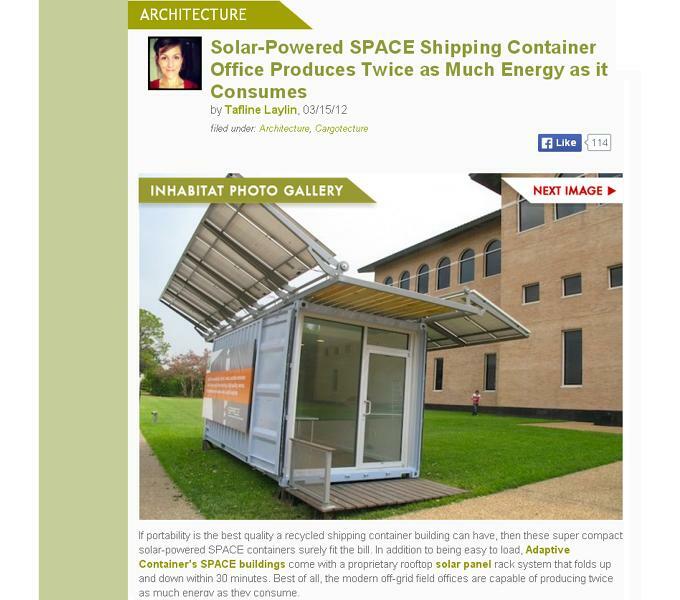 SPACE receives praise for its energy efficiency, versatility, and portability in Taflin Laylin's March 2012 article for Inhabitat. 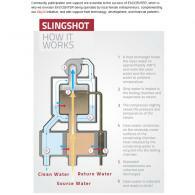 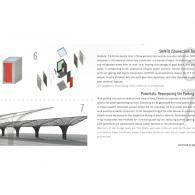 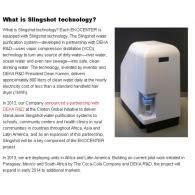 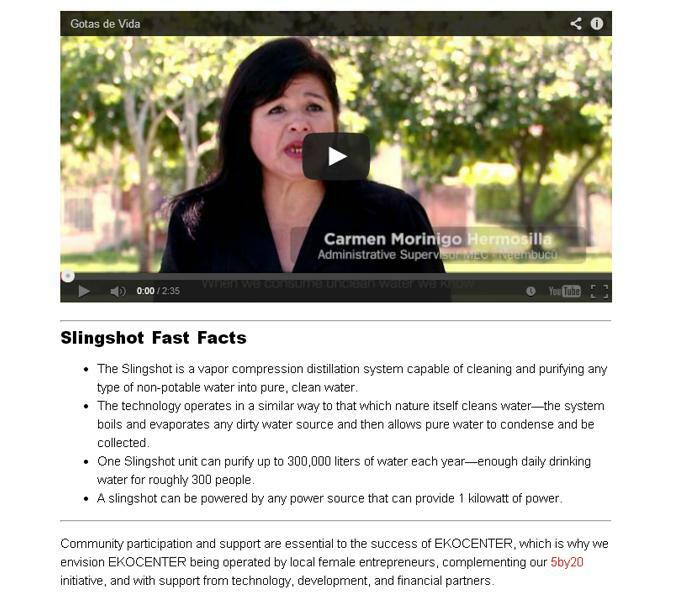 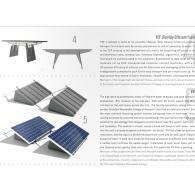 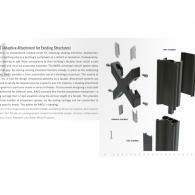 The weblog is devoted to forward-thinking design and the principles of innovation and sustainability. 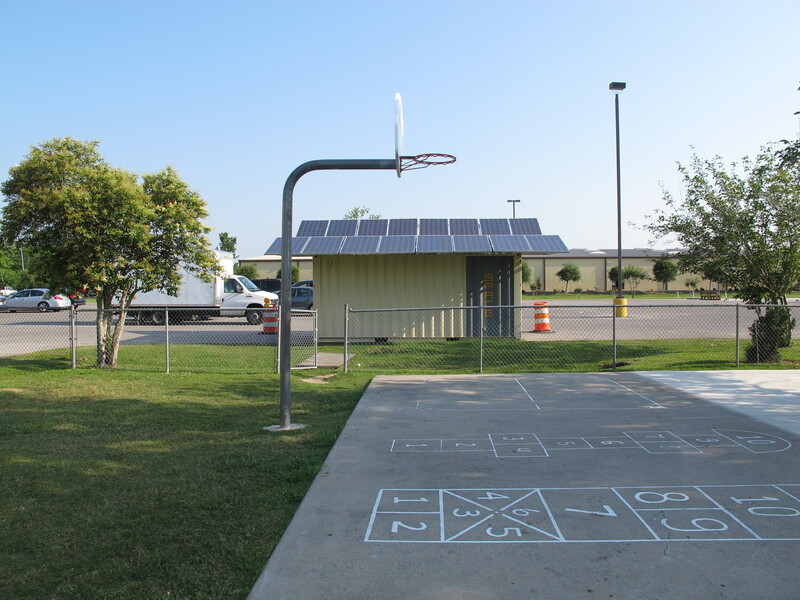 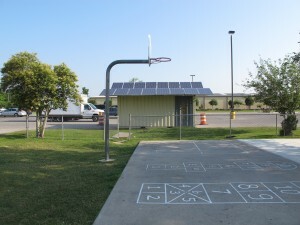 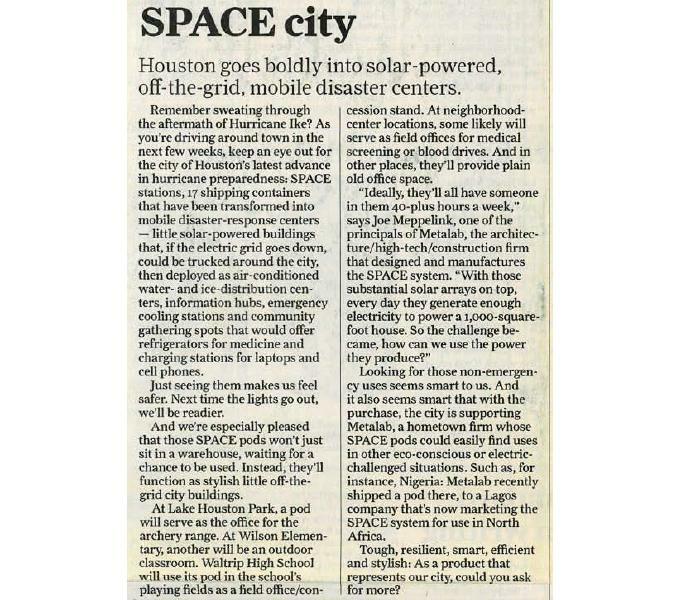 View SPACE sites in a larger map A map of the locations in the city of Houston were SPACE solar powered generators are installed. 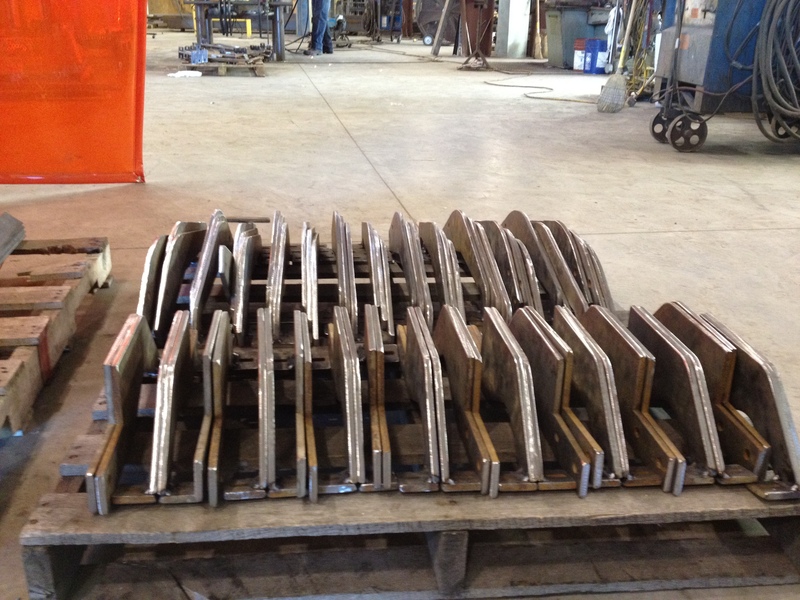 17 to go. 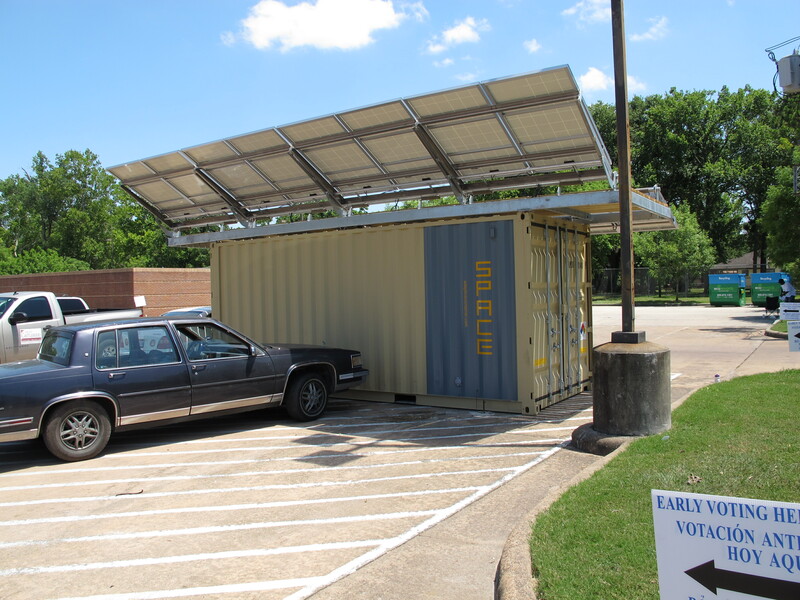 This one is going to Nigeria, the rest will be here in Houston at Neighborhood Centers, Fire Stations, City Parks and HISD schools near you. 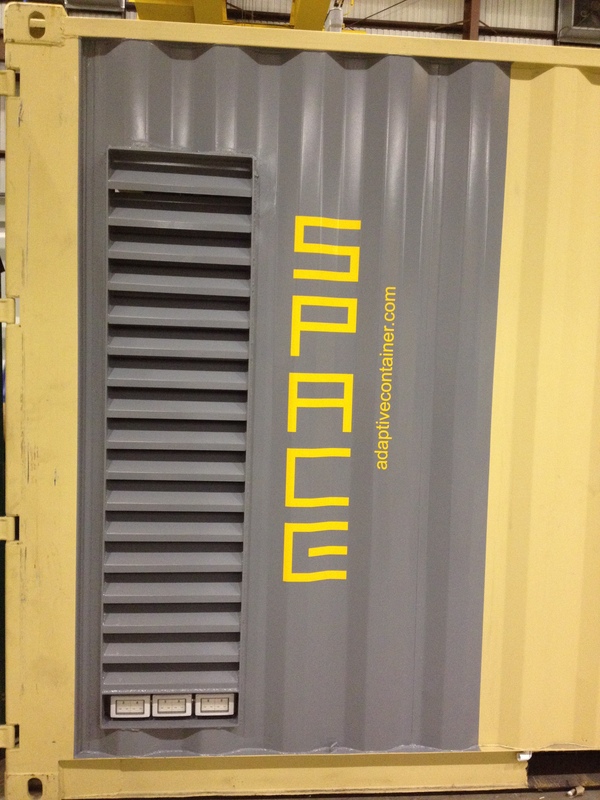 We are in full production mode on the 17 SPACE units being purchased by the City of Houston for mobile solar power generators. In the event of widespread power outage as the city experienced after IKE, the SPACE's would be mobilized and micro-community centers providing power for cell phone recharging, information dissemination and staffing by disaster response personnel. 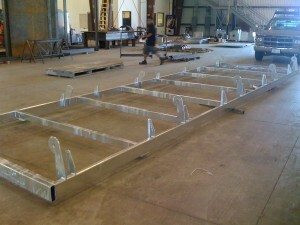 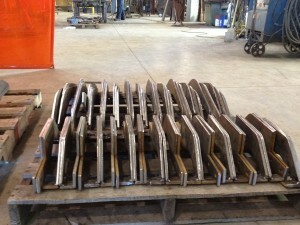 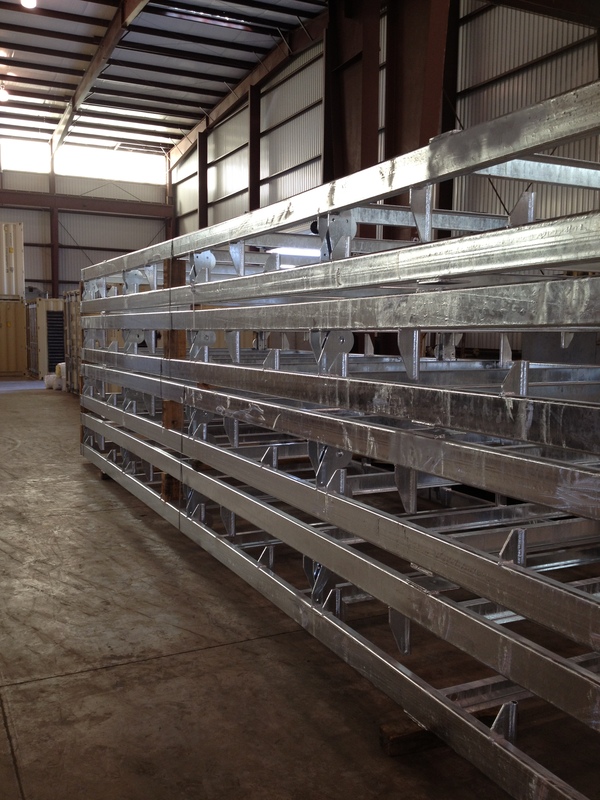 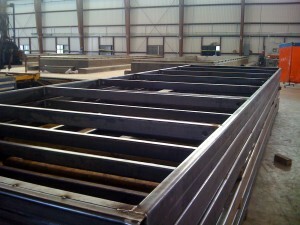 The units are being fabricated at Campo Sheet Metal's new facility on Telephone Rd. 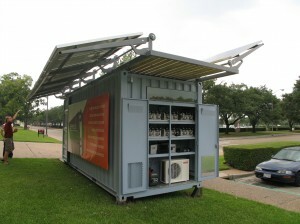 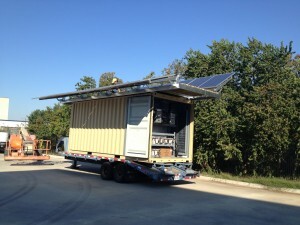 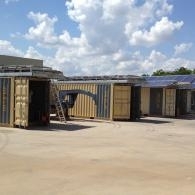 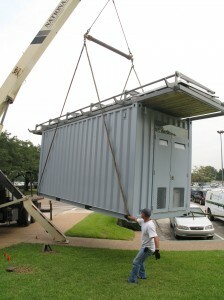 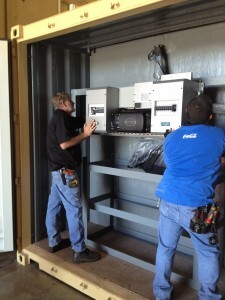 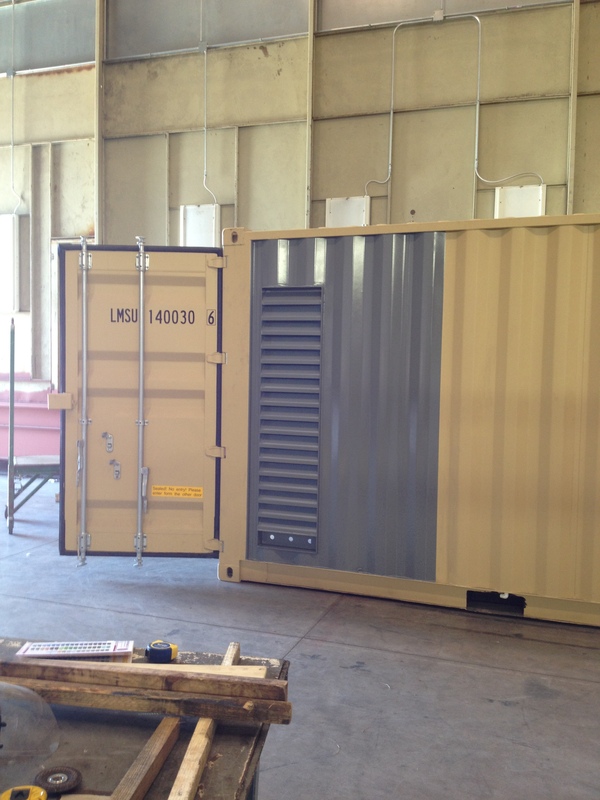 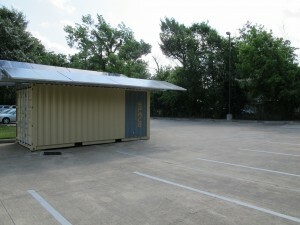 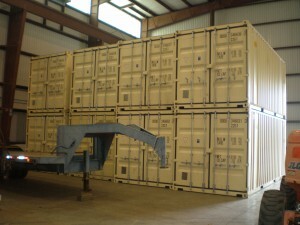 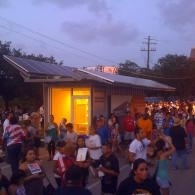 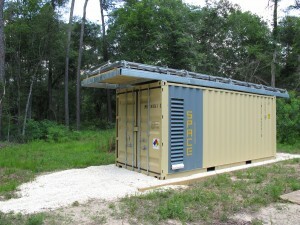 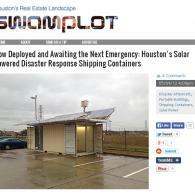 near Hobby Airport by our new company Adaptive Container with Ameresco as the prime contractor. 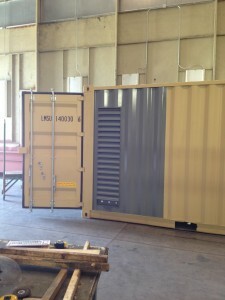 The units will be finished and installed soon. 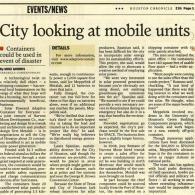 The Chronicle shows love for local business with a giant spread on SPACE in the January 2011 Events/News section. 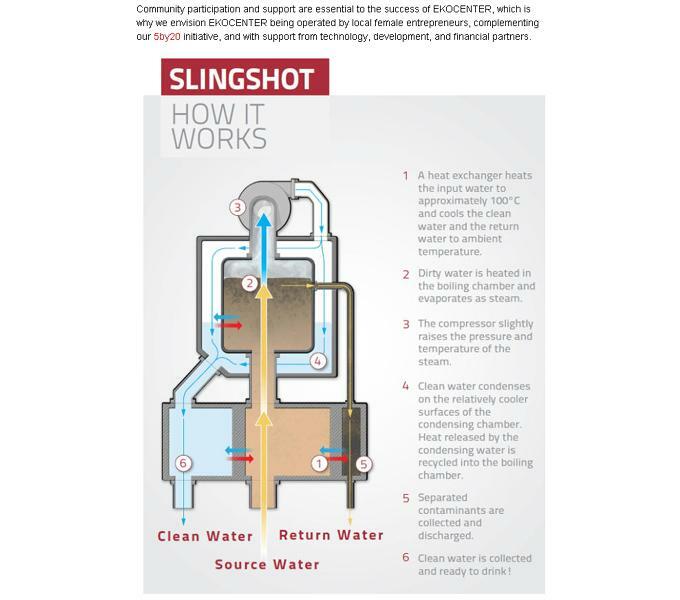 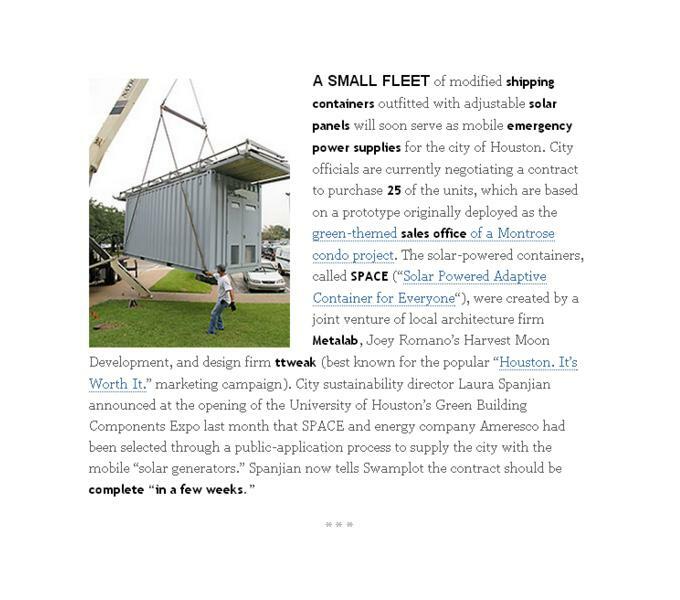 The piece spotlights designer Joe Meppelink of Metalab, developer Joey Romano, and Laura Spanjian, sustainability coordinator for the City of Houston. 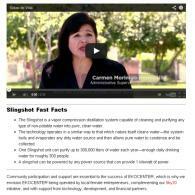 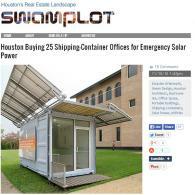 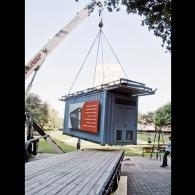 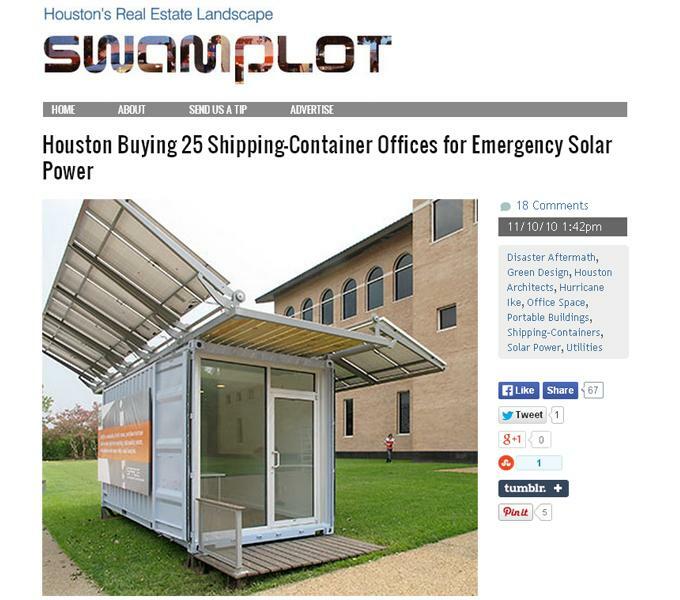 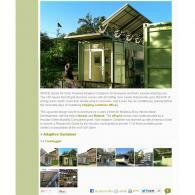 SPACE received press on Swamplot, Houston's all-encompassing real estate weblog. 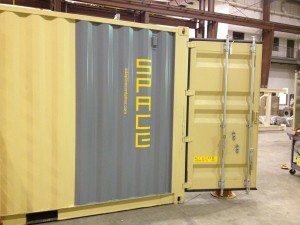 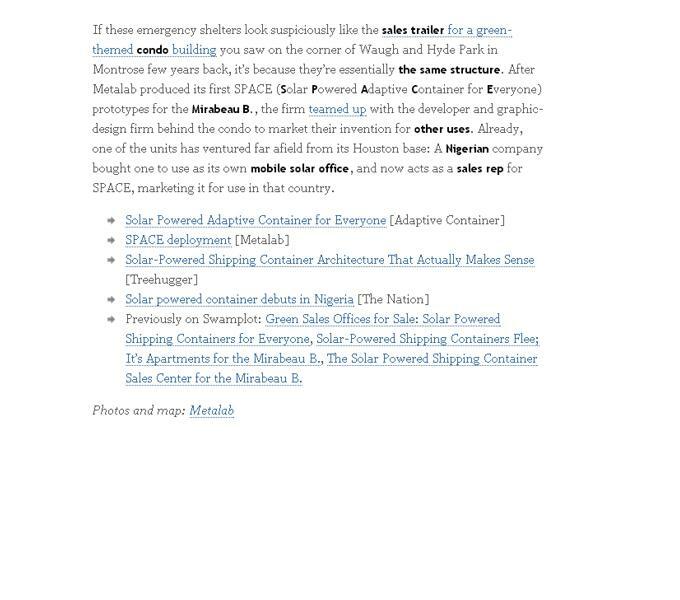 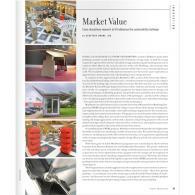 The November 2010 article delves into the evolution of SPACE and how the adaptive container has been marketed and employed. 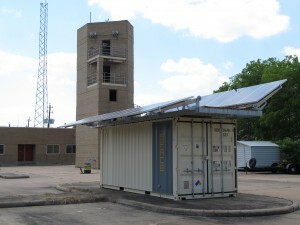 The City of Houston plans to purchase 25 units as part of its disaster preparedness program. 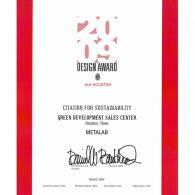 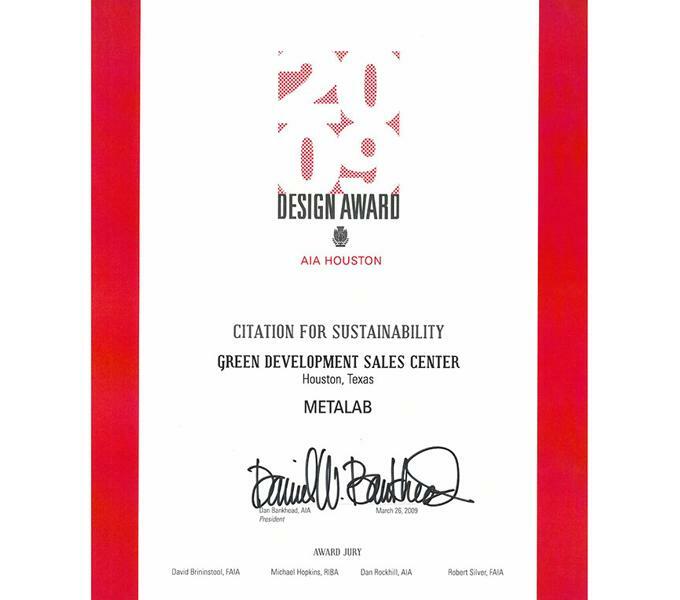 Metalab was recognized in AIA Houston's 2009 Design Awards for the Green Development Sales Center at the Mirabeau B. at Hyde Park and Waugh, a green condiminium complex. 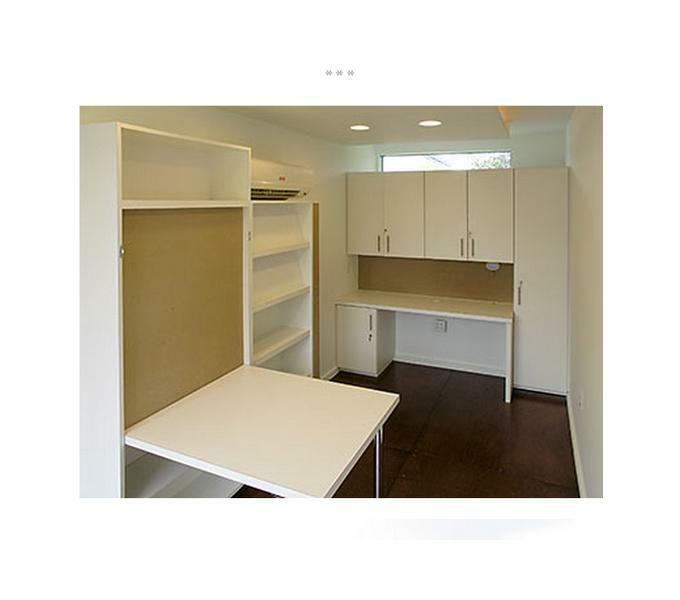 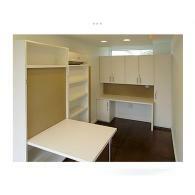 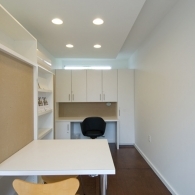 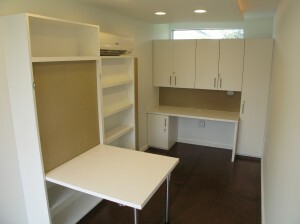 This project was another adaptation of SPACE. 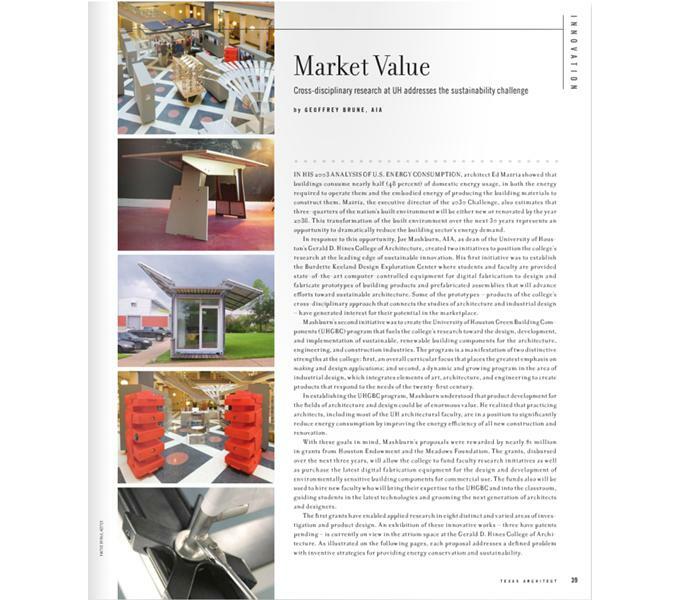 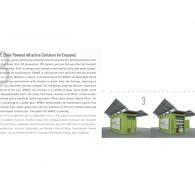 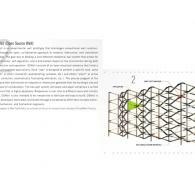 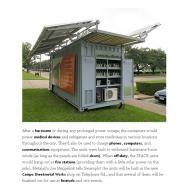 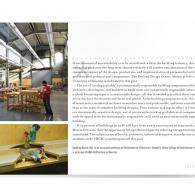 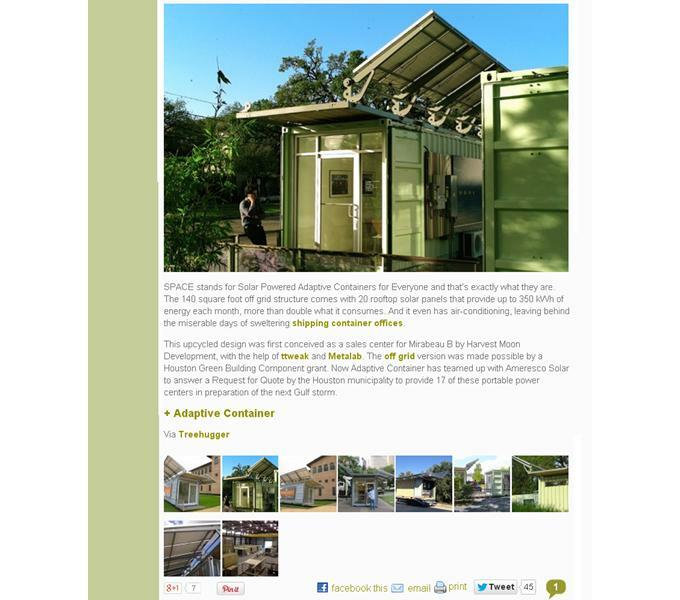 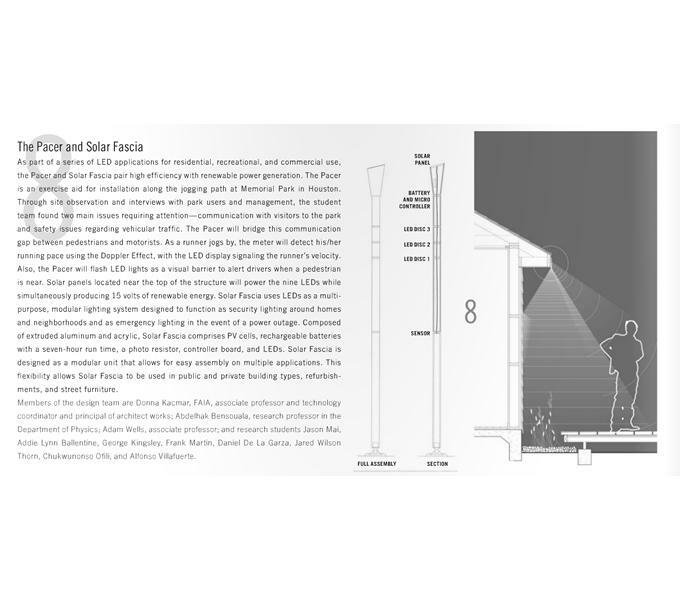 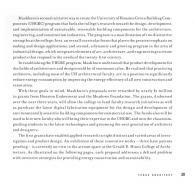 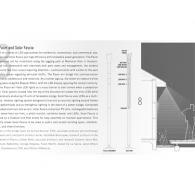 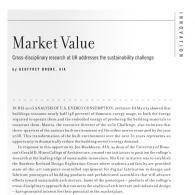 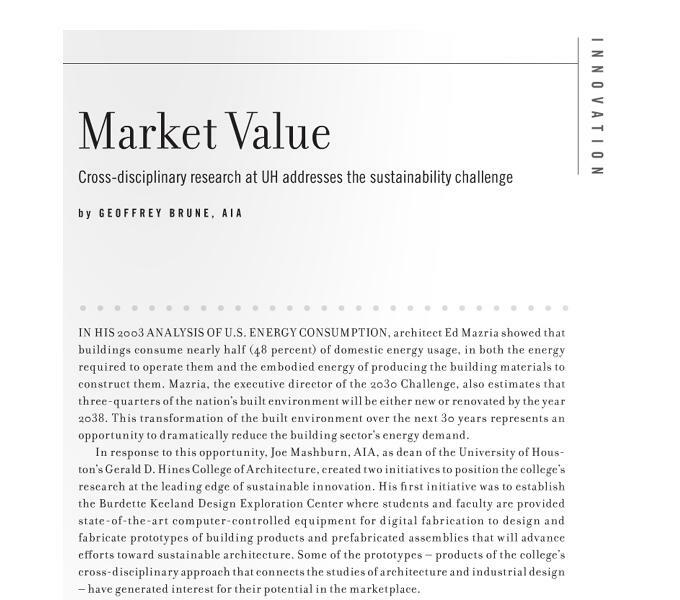 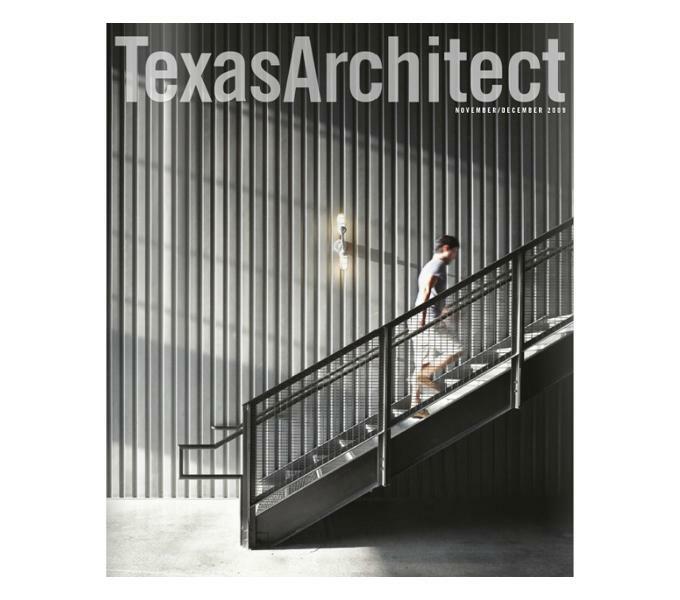 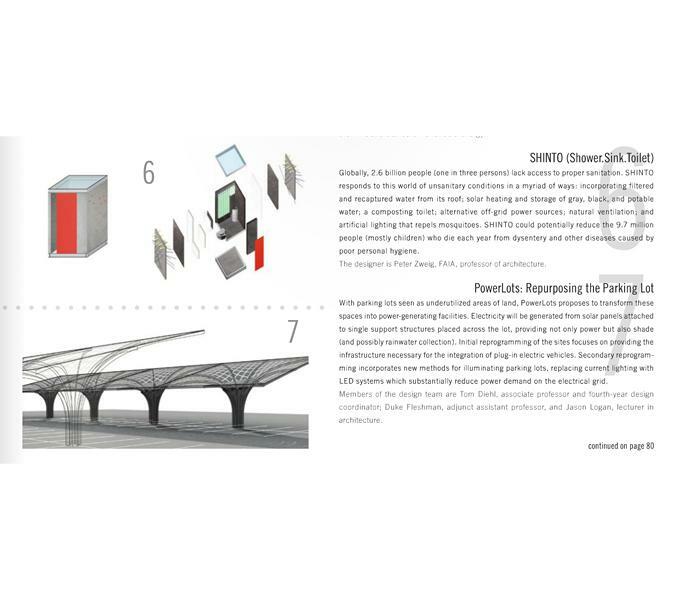 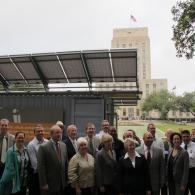 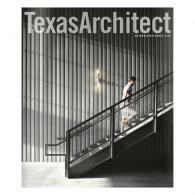 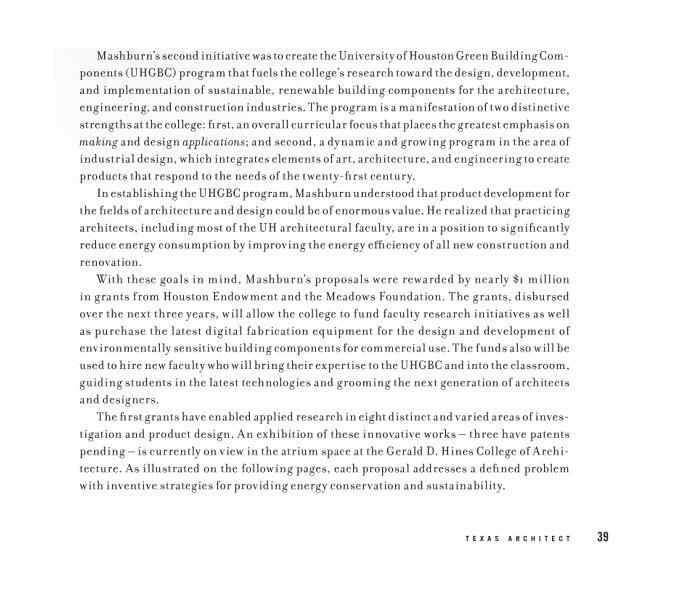 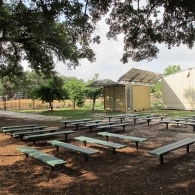 Texas Architect featured several University of Houston Green Building Component projects in its November/December 2009 edition. 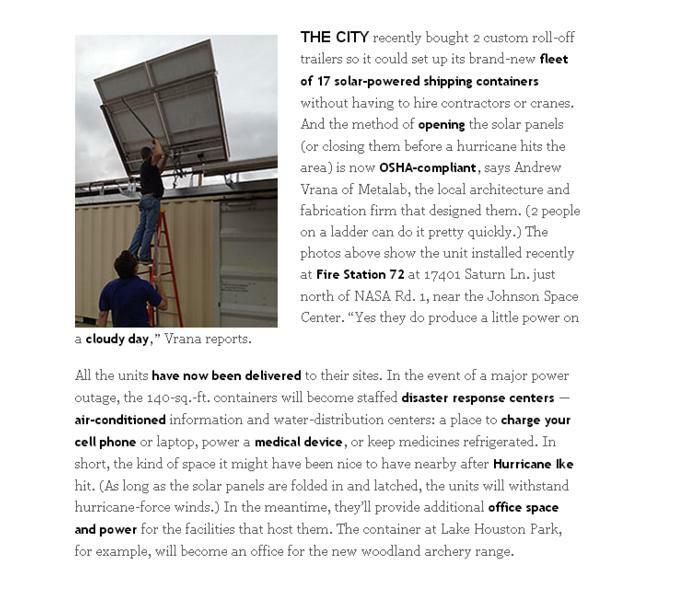 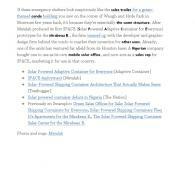 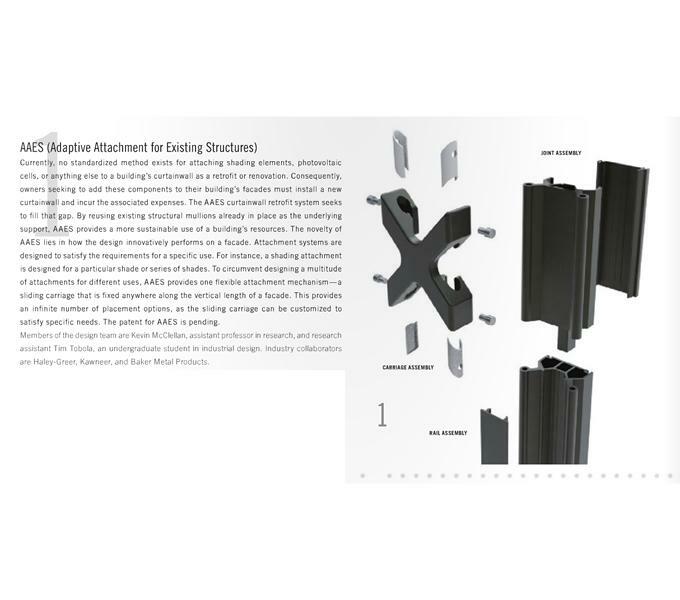 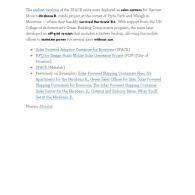 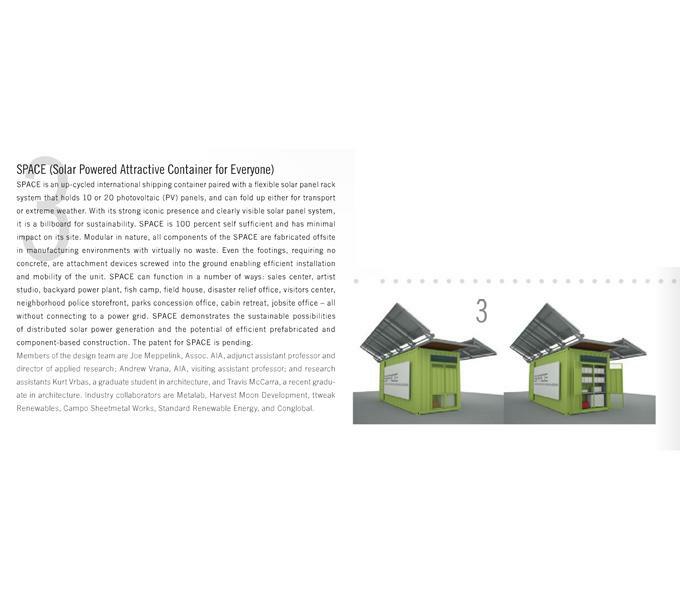 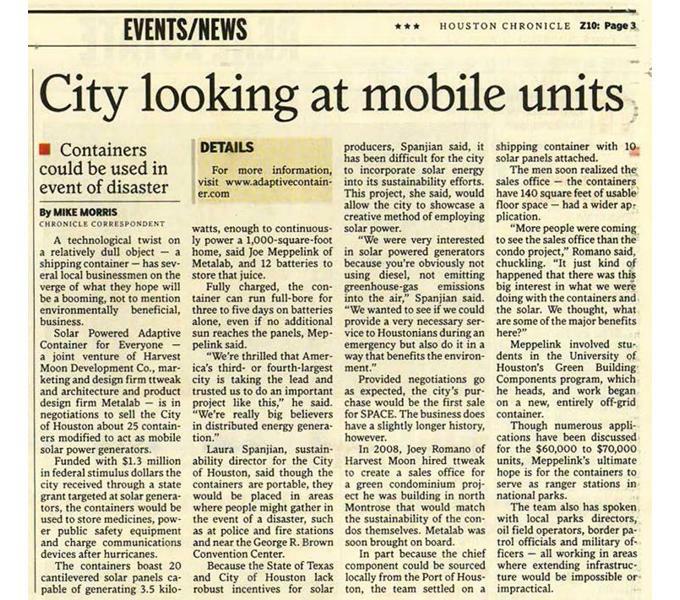 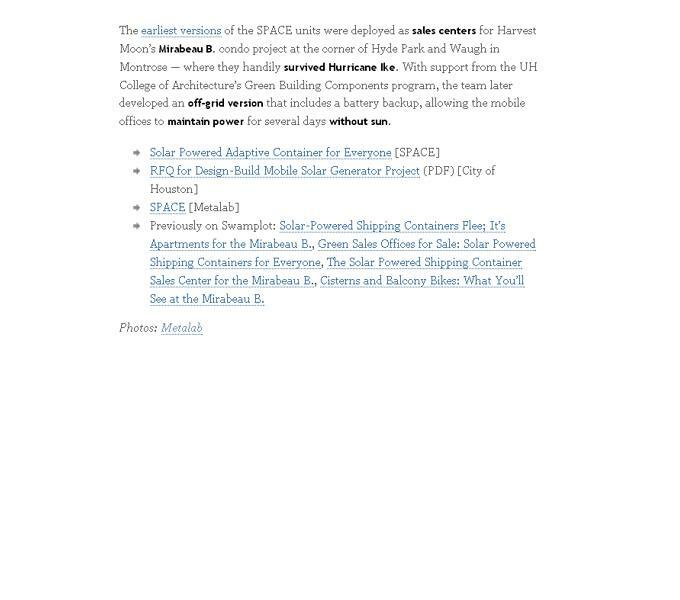 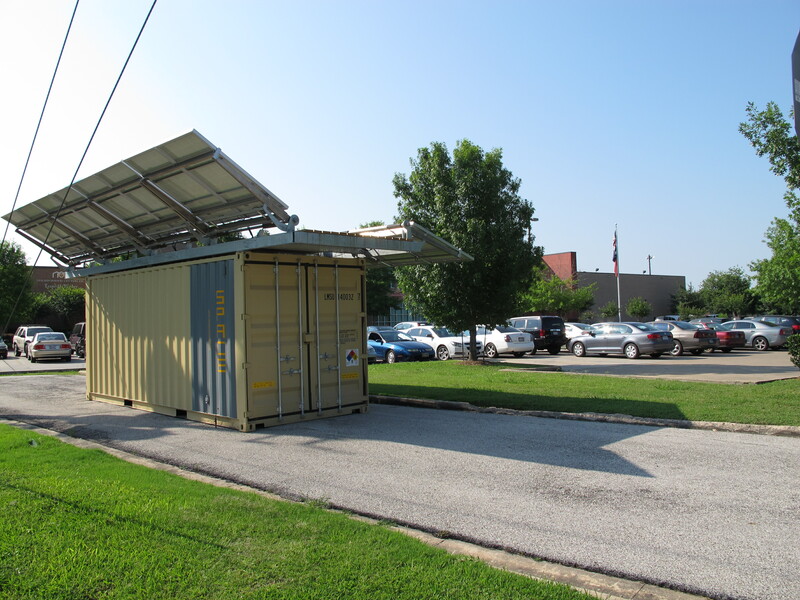 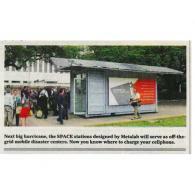 The article first chronicles the inception of the UHGBC and then feature press for early iterations of PV-Pod and SPACE from designers at Metalab and their student and industry collaborators. 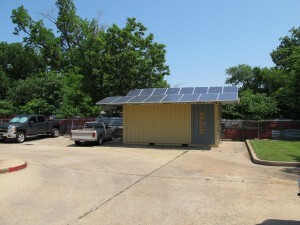 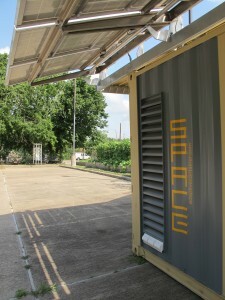 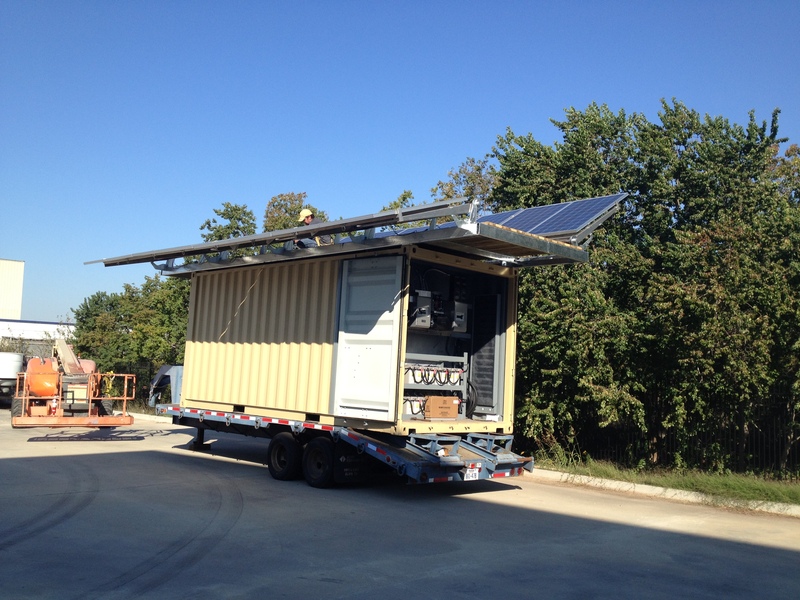 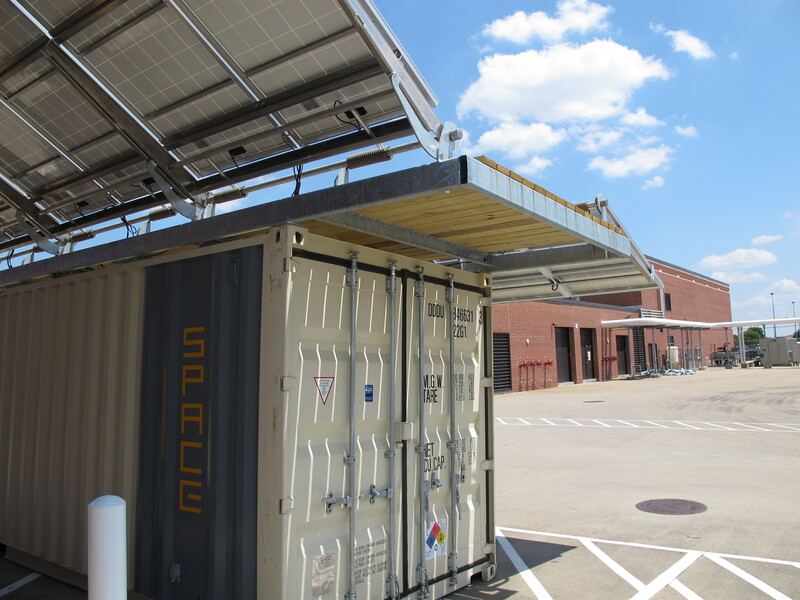 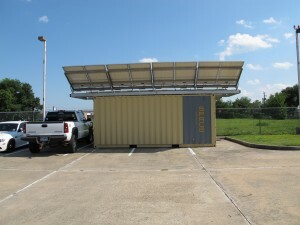 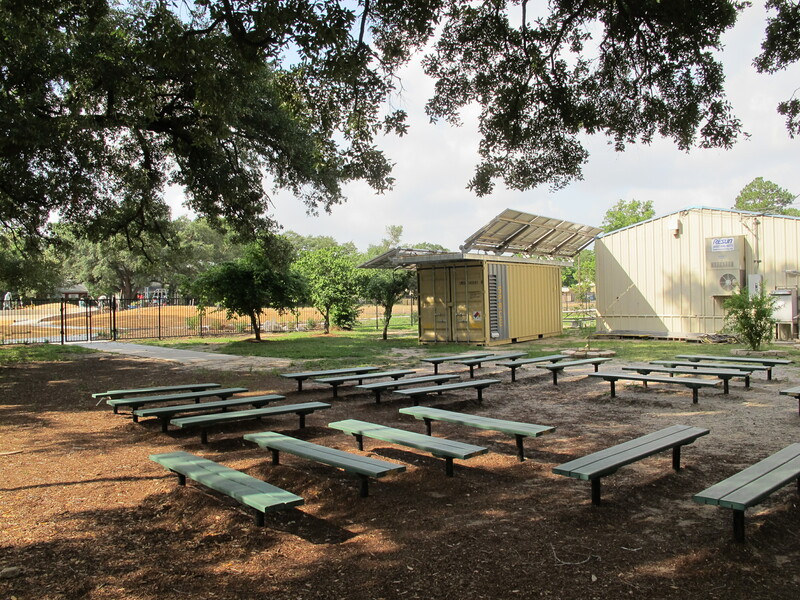 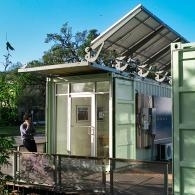 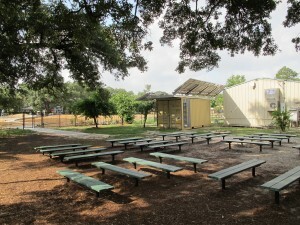 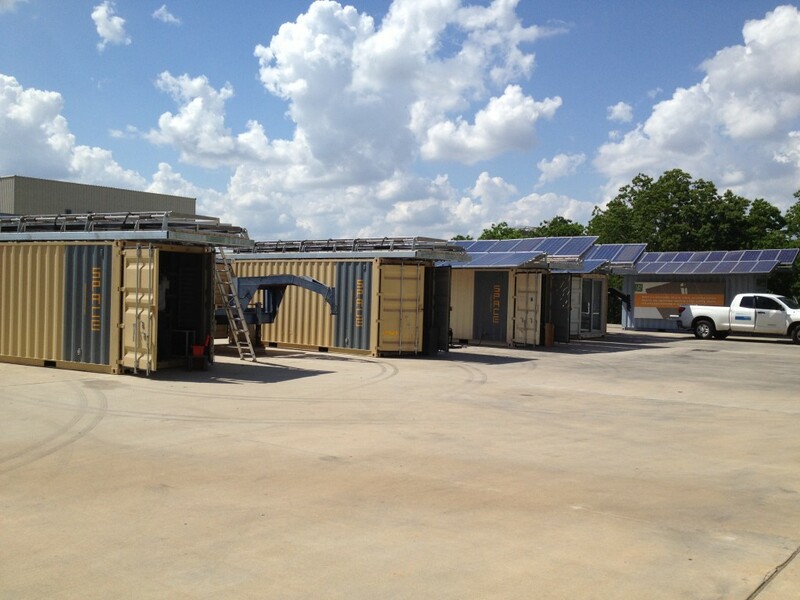 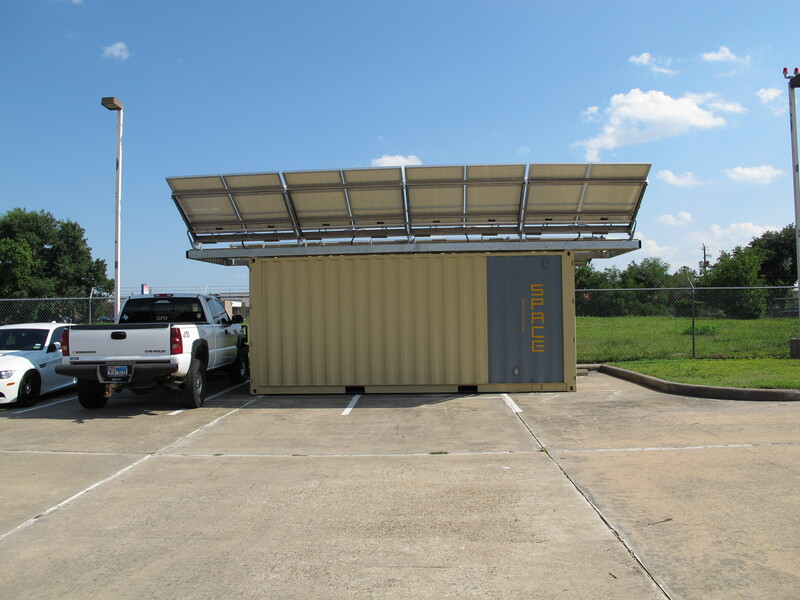 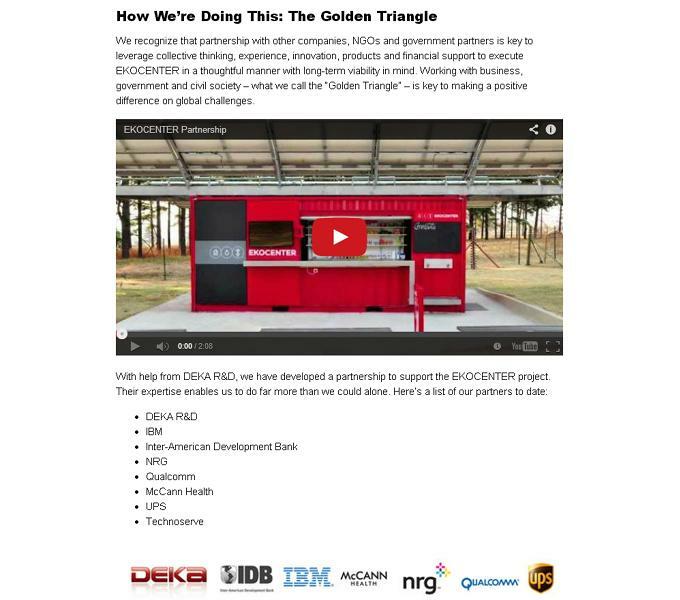 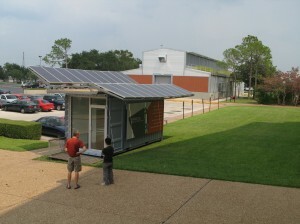 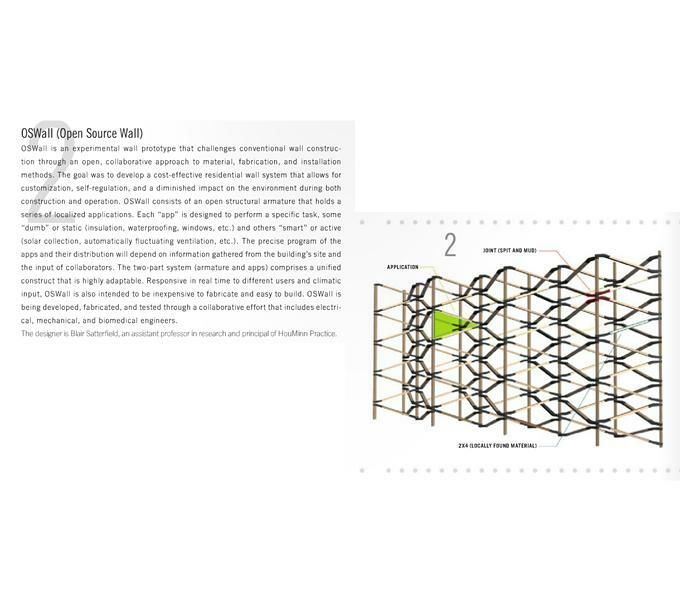 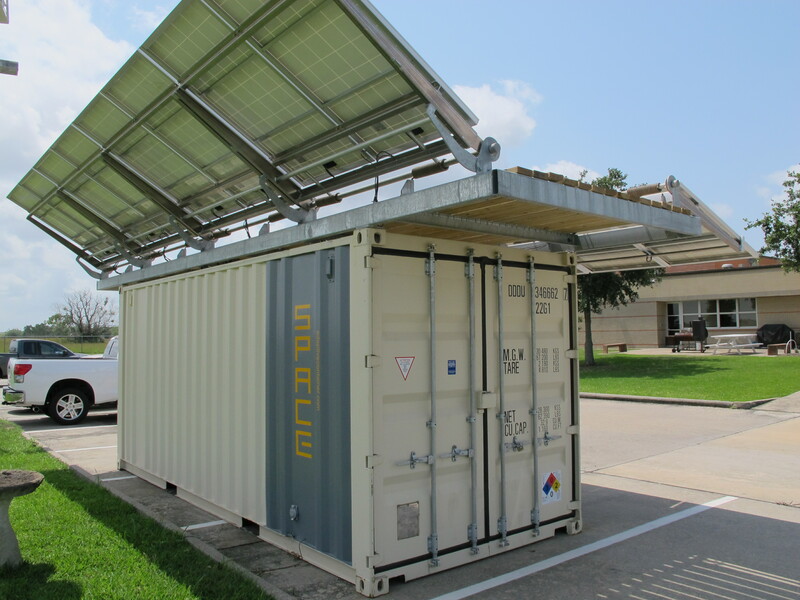 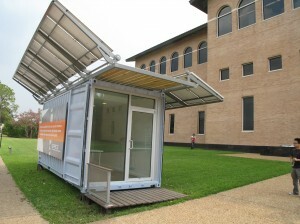 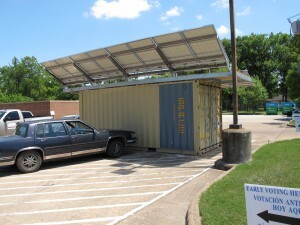 Houston's first offgrid building has been completed by METALAB as a research project in the UHGBC (Green Building Components) initative. The charge has been to team up with industrial partners to perfect the product with regards to its design and access to market. 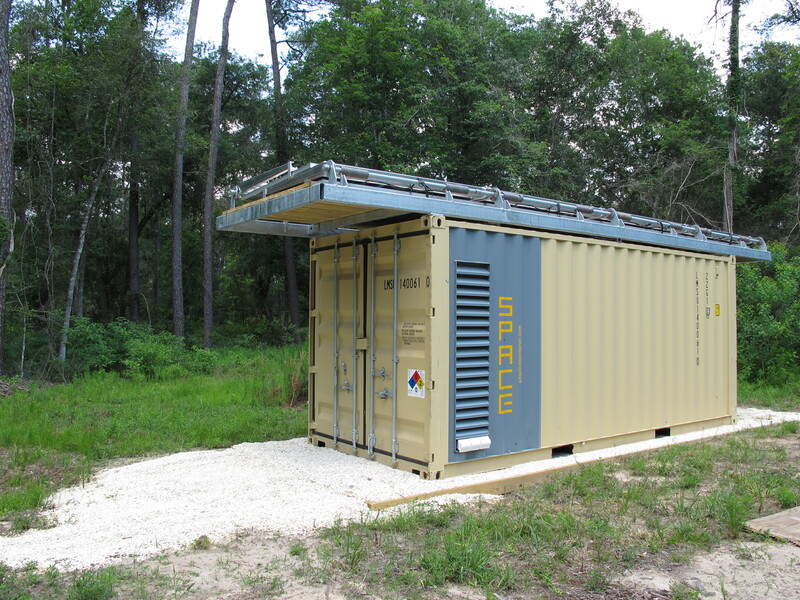 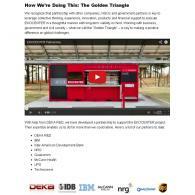 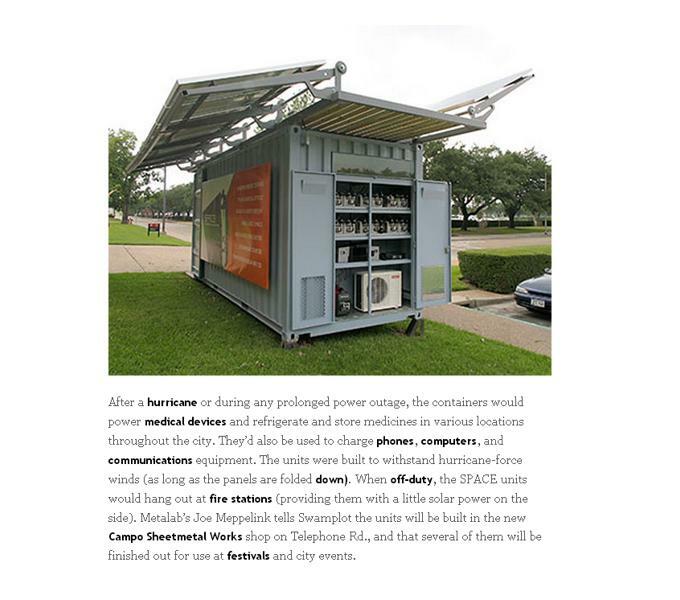 Harvest Moon Development, ttweak renewables and METALAB have formed a joint-venture to build and distribute these as disaster relief centers, triage/medical offices, security stations, parks & recreation spaces, sales centers, educational centers and construction field offices. 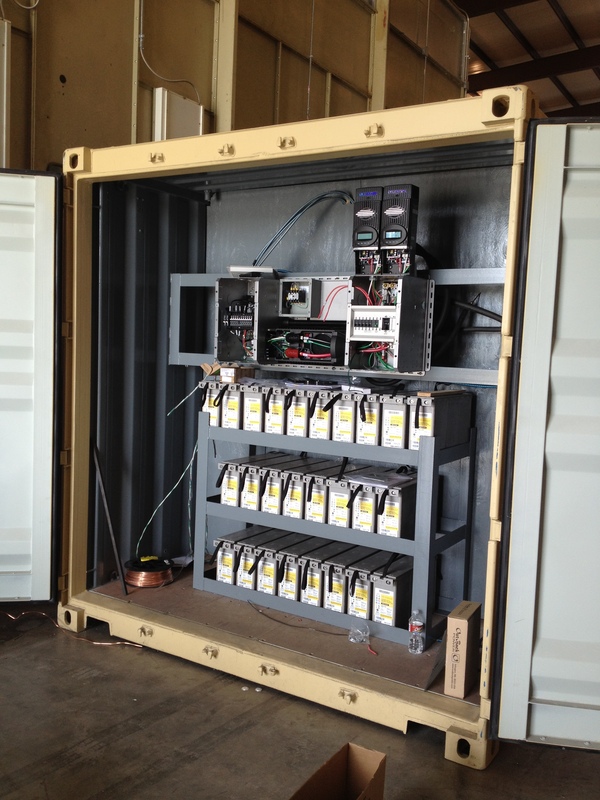 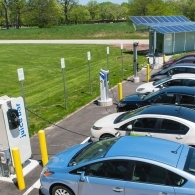 The SPACE's PV system with battery backup will provide the unit with power for 3-4 days in the event of successive days without sun and a small generator provides a 2nd backup. 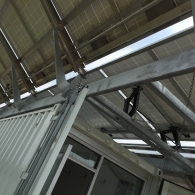 Standard Renewable Energy, our region's largest onsite renewable energy vendor, has provided the technical specification of equipment and installation. 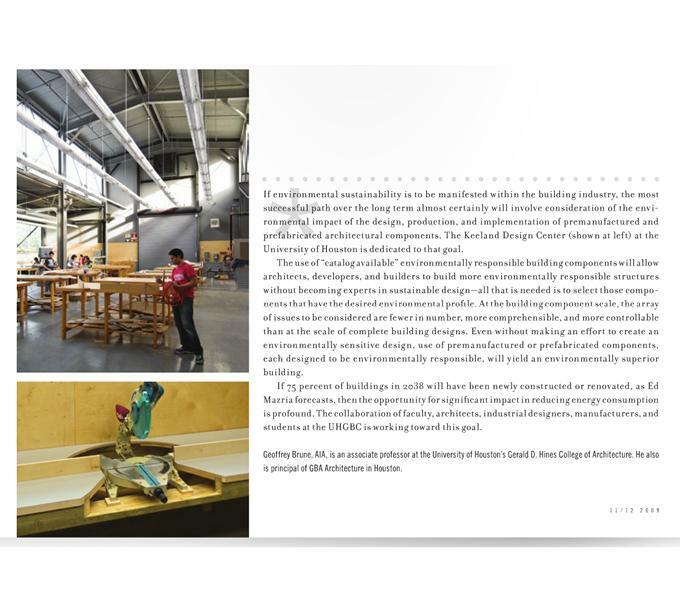 The project will be on view this month at the UHGBC Exhibition opening this Tuesday, Sept. 8th and continuing until Sept. 18th. 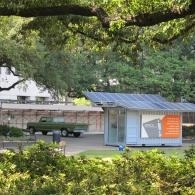 Come by and see the other exciting research projects produced by faculty and students at the University of Houston.